Content marketing is, in simple terms, the production and promotion of content, like blog posts and social media entries, to promote your products and services while also providing readers and consumers with information and value. The process of content marketing can be expensive and time-consuming, especially if you don’t have prior experience in copy-writing. However, the process can be incredibly rewarding when done so effectively, bringing in organic traffic to your website and helping you to convert visitors into leads. Below, we’ve rounded up the five biggest benefits of content marketing for small businesses. Although you have to factor in the time it takes you to write your post, content marketing can be a free method of promoting your business online. Simply share some thoughts on your industry, offer a ‘how to’ guide or write an in-depth tutorial, and with some basic SEO and a tweet or two on Twitter, your post could be seen by hundreds of potential customers. No other form of marketing is as affordable or effective, so it’s worth giving it a go. All businesses want to position themselves as an authority figure in their industry, and content marketing is one of the best ways to do exactly that. If you’re producing high-quality content that answers questions and offers value to your customers, they’ll be more likely to link to you on their own website and recommend your content and your services. It’s a win-win, and it makes the hard work of producing high-quality content worth it. Content marketing is one of the most powerful SEO tools, as it gives you the ability to publish fresh and engaging content and rank for new competitive terms. Make sure that, when you start blogging on your website, you nail down the keywords that you want your website to rank for (for example, if you run a pet grooming business in London, ‘pet groomers London’ could be an appropriate keyword to rank for) and make sure that you include those keywords in every blog post you can, linking back to the appropriate pages. As soon as a customer has purchased something from your website, they’ll remove your link from their favorites and move on with their life. Unless you maintain a high-quality blog, that is! Make sure that you keep customers on your side (and your site) by writing engaging posts on a weekly basis, asking them to sign up to your mailing list and alerting them of new content on social media. The more they visit your site, the more they’ll remember your brand and the more likely they’ll be to purchase from you again. Content marketing is, undoubtedly, one of the most powerful forms of marketing for your small business. Not only is it free and relatively quick, but it allows you to compete against the big guns and show that your business is a knowledgeable, professional alternative. 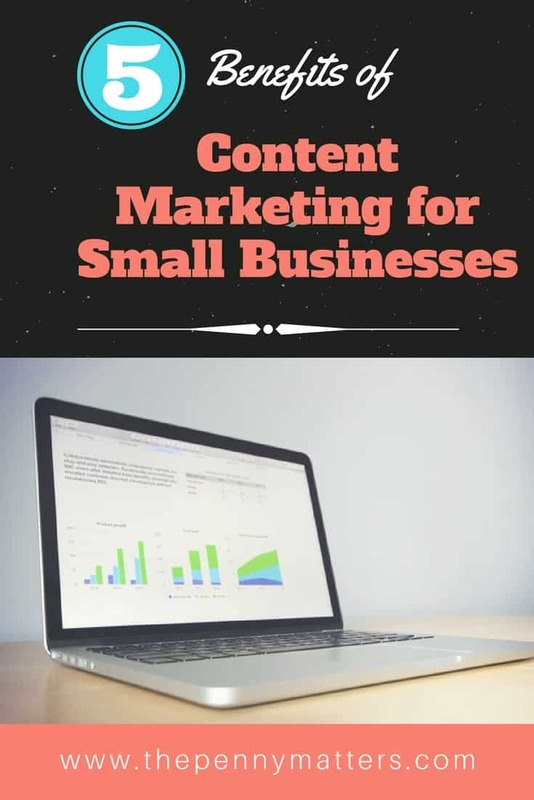 What do you think of Content Marketing for Small Businesses? Share your views in the comments section. If you need help with content marketing, visit our Services page to learn how we can help you. Good job…Thank you for your kind words. Content is the king, this proverb will prove how much important is content nowadays for our business if we want to grow online. Business owners are creating business websites and publishing contents to attract customers through information and it will simultaneously helpful in online marketing and online business strategies and the rest of benefits we can learn from this article. Thanks for such a wonderful article with useful information. Hey Philip. Thanks for your insightful comment. Content marketing is what driving thousands of sales to businesses nowadays. Taking time to craft great content will pay off in the end. You’ve got a really great website! Nice read. As a digital marketer in a startup, I have applied several techniques you’ve discussed. Truly said, everything depends on the content, Now I got why everyone says content is the soul of a website.